To assess the safety of the association of radiotherapy (RT) and systemic treatments for patients with metastatic malignant melanoma (mMM). A retrospective analysis included consecutive patients treated with palliative RT, and at least one line of systemic therapy for mMM between 2001 and 2016. Treatments were defined as sequential or concomitant when RT and the systemic drug were administered, respectively, at more or less than five half-lives from each other. 92 patients were included. They had 110 palliative RT treatments. RT was delivered with a “conventional” chemotherapy (mainly fotemustine and/or dacarbazine) and a “modern” systemic therapy (BRAF inhibitors, association of BRAF and MEK inhibitors, immunotherapy), respectively, in 88 (80%) and 22 (20%) cases. Systemic treatments and RT were mainly concurrently performed (n = 61, 55.5%). Regarding acute grade ≥ 3 toxicity, no difference was reported between sequential and concomitant groups either in the whole cohort (p = 1) or in the subgroup of patients receiving “modern” systemic therapies (p = 1). Acute and late grade ≥ 3 toxicities only occurred with vemurafenib. BRAF inhibitors and RT produced more severe infield adverse events than other associations (p = 0.001) with two deaths. 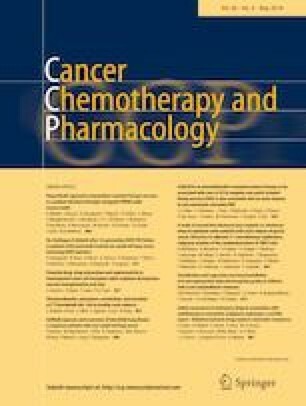 In our series, compared to sequential administration, concomitant association of systemic anticancer drugs and palliative RT did not increase toxicity in mMM patients. BRAF inhibitors and RT produced severe infield toxicities. Prospective studies are needed to better characterize the toxicity of each association. Authors declare having no conflict of interest.